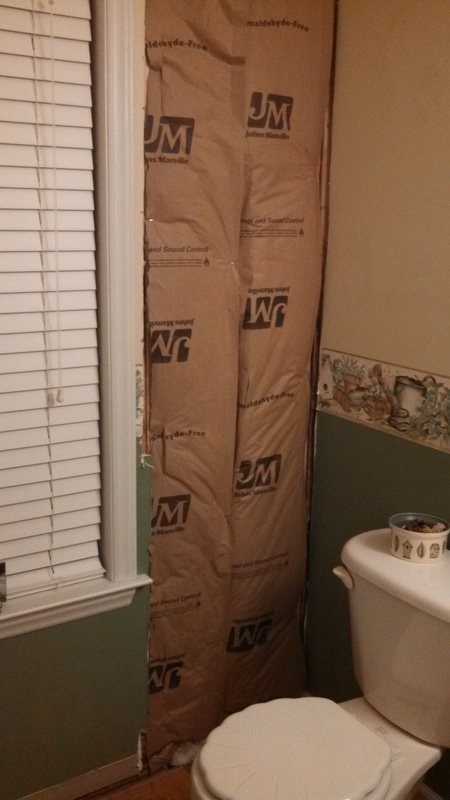 My niece and her husband had just driven out of the driveway when I realized that I had forgotten to warn him about the missing wall in our bathroom. That must have been a shock. I mean, it’s not open to nature or anything, but there’s no sheetrock. We had a suspicion, shortly after moving in eleven years ago, that there was some water somewhere that it shouldn’t be. It just smelled wet. Of course, they couldn’t find anything wrong before the contractor went bankrupt, but a few years ago a neighbor with the same floor plan mentioned that they had discovered that the builders had screwed the shutters on right through a drainpipe. Eureka! David and a plumber friend repaired the pipe, but by this time the sheetrock, insulation, subflooring, and studs were rotten. We did what we could and then found out that a complete repair and reconstruction would be about $4,000. We couldn’t believe it, but we got three bids, and they were all over $3,000. At this point, it won’t get any worse, and David has new studs in there next to the rotten ones, so the house won’t fall down. After about six months, we figured that, since it was dry, we should probably add some insulation for the sake of our heating bill. Now we’re contemplating sheetrock. We’re not contemplating paying someone $4,000 for the repair any time soon, since this is just one in a long line of demands on our money. I was talking about the lottery with my sister recently. The jackpot had probably gotten over $300 million, which is about where I start to think it might be worth whatever it costs to buy a ticket. I’ve never actually bought one. It’s not that I have moral objections, although someone might be able to talk me into that, but I’m just way too cheap. I can’t imagine spending my money without a guaranteed return. Anyhow, we agreed that we didn’t have to be fabulously rich, but it would be nice if we could actually afford the lifestyle that we’re now living. How peaceful it must be to just fix everything that’s broken: all the appliances working, all of the cars running well, and even the exterior of the house in such beautiful shape that you’re an HOA’s Yard of the Month. I drove home from work a couple of weeks ago to find my son in the driveway near his car. David was doing yard work, so I knew he didn’t want me to pull into my usual spot, and I wanted to know if Michael was leaving and needed me to move my car. I couldn’t catch his eye, so I bumped my car horn—and the air bag light popped on. I knew there was a short somewhere between the horn and the air bag light, but it hadn’t come on for six months! I’m not sure if it’s just the light that is the problem, or if the air bag is actually disabled, so I really should get it fixed. I could tell you that the light is never on when I’m going by the dealer, but in truth, I just keep hoping it will go off and stay off, which it does a lot of the time! To ratchet up the stress, I walked upstairs ten minutes later to find a notice from the North Carolina DMV, telling me that it was time to renew my registration, following a safety inspection, of course. Happily, the light went out the next afternoon, and I got the car inspected as quickly as possible. Passed! The light hasn’t come on since. “Rich” is such a relative term. 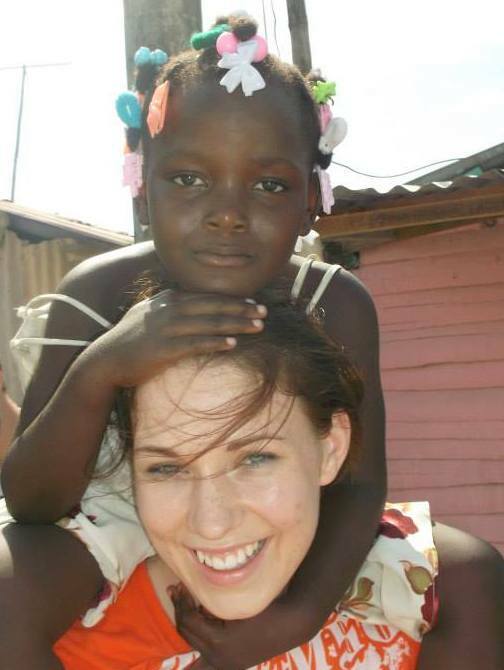 Another niece of mine is just returning from a mission trip to the Dominican Republic, where her group helped the locals to build shelters from whatever they could find in the dump: cardboard, sheets of corrugated metal, or whatever came to hand. They have no sewer system, so the church group helped them to dig outhouses and waste areas. They played with the beautiful children and tried to spread the news of happiness beyond this life. American television could convince me that everyone else drives beautiful cars and has every gadget known to man, while I am frustrated that my old DVD player has more idiosyncrasies than a cosseted old lady. But I do have a DVD player and enough money to have a disc-only plan with Netflix. Such first-world problems! My dryer— which is now out in the garage waiting for the time when I can replace it and have Lowes take it away— was held together with masking tape at the end of its days. We tried duct tape, but it left a sticky goo when it was heated. Masking tape worked better, but it kept drying out and had to be replaced. Eventually, David installed a brass latch that one usually sees on a door. It worked, and we were perfectly happy with our Harvest Gold contraption until the heating element gave out. 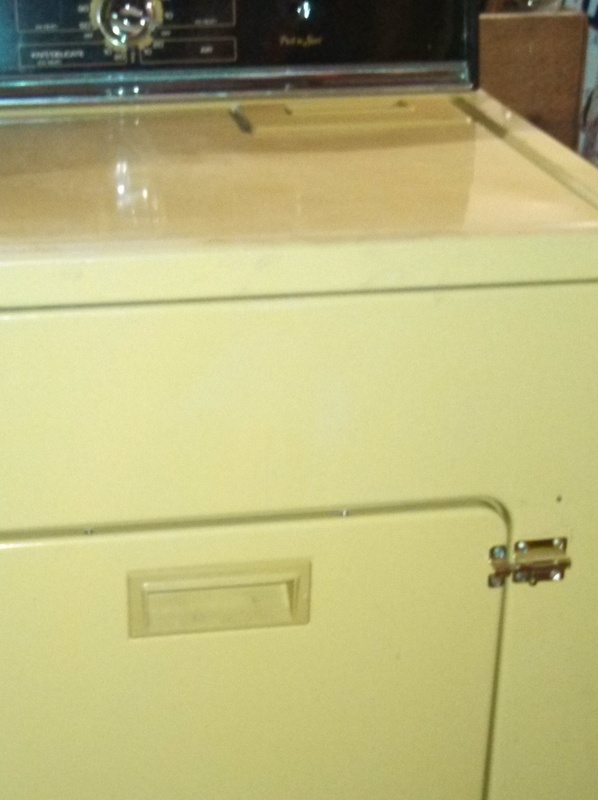 Thirty-two years is a good run for any appliance, so we are now borrowing Michael’s dryer, which was stored in our garage until he gets a job and moves out. I’m not sure what will happen then, but I will definitely not get a dryer with a door that opens sideways, as this one does. The wrong side, too, although I’ve been told that you can turn it around. No one has actually done this, though, so the folding process goes like so: bump door over with hip, pull out one item, fold, put in pile. Bump door over with hip, pull out one item, rinse & repeat. I have also been told that there is a buzzer somewhere, but it has been disabled, and no one can remember how to reverse this modification. David and I had a problem. Vacuuming is one of David’s chores in our house, and since he is a big-time detail person, it took the whole day for him to move all the furniture and debris in order to vacuum. No quick once-overs for him. Furthermore, we bought our vacuum cleaner on Craig’s List, and it’s pretty weak and so heavy that it’s exhausting. Needless to say, he didn’t vacuum very often. I, on the other hand, like clean carpets, and that was definitely not happening on a regular basis. A few weeks ago, I was having a conversation about housework with Kevin, our digital libraries manager. There are two disconcerting points about that last sentence: 1) I was voluntarily having a conversation about housework, and 2) Kevin, as you may have guessed, is a guy. My mother would think that the universe was suddenly out of joint at that point, but I was quite delighted. It seems that Kevin and his wife divide up the household chores along much the same lines as David and I. Ashley does the laundry, as I do, and Kevin does the dishes, as David does. 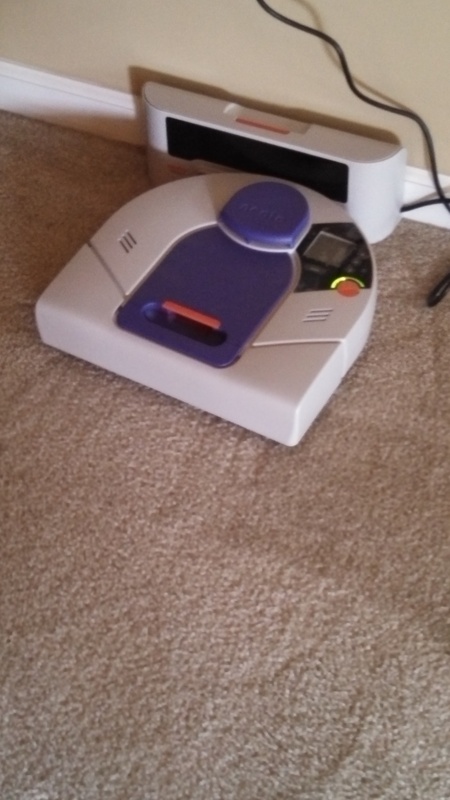 When I said that I dust and David vacuums, Kevin casually stated, “Oh, I have a robot do that for me.” I thought he was kidding, but no. He told me all about his Neato, a vacuuming robot that is light-years ahead of a Roomba, which I had heard of. The Neato has a laser that maps out the room and covers everything in an orderly manner, and it works on all floor surfaces. He assured me that it would not fall down the stairs, since it has a sensor for that. He said that Lynn, another person in his department, also had a Neato and loved it. I talked to her later, and she has the Pet and Allergy model, since her husband has allergies. Her Neato was home vacuuming even as we spoke! I went online to Amazon and read all the reviews, then put a Pet and Allergy one in an order cart. Once David read about it, we decided to give it to each other for Mother’s and Father’s Day. Michael gave me a gift certificate toward the purchase, and we got it Tuesday! As you can see, it is a little smaller than the bottom of an upright vacuum cleaner, and it charges at a docking station that you plug in. When we first hooked it up to the base, a warm orange light began pulsing slowly to show that it was charging up. It looked so content, like a little piglet, that we decided to name it Wilbur. We had tried to name it before it arrived, but like all pets, you really have to see its personality before you can choose perfectly. David read the manual (he’s good at that) and programmed it to start up in the morning. When Wilbur woke up, he rolled into the middle of the room and twirled around, using the laser to map out the space. He then started methodically vacuuming the carpet, leaving perfect little tracks, and finished the living room before moving on to the kitchen. We had put the chairs up on the table, but he rolled around each table leg in turn before continuing his back-and-forth sweeping. His lasers keep him from hitting the furniture. When he went to go to the dining room, he felt a bit sluggish, so he zipped back to the base for a charge all by himself. This took a few maneuvers, rather like a new driver backing into a parking space. Once he was charged up, he went right back to where he left off and resumed his work. Awesome! He didn’t like the mats in front of the front door or at the bottom of the stairs, but he did a pretty decent job on them. Otherwise, carpet, hardwood, and vinyl all look great. He did the upstairs today. David has Wilbur programmed to run on Mondays, Wednesdays, and Fridays downstairs, and Tuesdays and Thursdays upstairs. So we’re going from vacuuming oh, say, quarterly, to vacuuming daily! We may need to revise that schedule later. After all, you do have to make sure that you don’t have electrical cords lying on the floor or bedskirts and window treatments long enough to be sucked up. I also hear that they choke on dryer sheets. Cats and dogs have mixed reactions to them, apparently. One man online says that his cat enjoys stalking it, but will occasionally pounce. Kevin reports that his dog gets up on the sofa when the Neato runs, but will come down to rescue his toys if the Neato bumps into them. He also says that there are hilarious videos on YouTube with cats riding on Neatos. They’re probably warm. So, anyway, after this long advertisement for which I am not even compensated, I can attest that our problem is solved! My carpets and floors are beautifully clean, and David never has to vacuum again! Well, except for the stairs— probably quarterly. Lincoln stayed in college after his girlfriend, Sam, the absolute love of his life, broke up with him in freshman year. He stayed and stayed for nine years, earning one degree after another. Now he’s back home and has taken a job working nights at a large newspaper office. He works in IT reading interoffice emails that the newspaper’s security program has flagged, and he feels terribly apologetic about it. What sort of job is this, spying on your co-workers and then telling on them? There are certain emails that Lincoln doesn’t take action on, though. Best friends Jennifer and Beth are funny and sweet, and even though they talk about every personal detail of their lives and set off the red flags almost every night, Lincoln guiltily enjoys their friendly banter and the care that they have for one another. Jennifer is married, and although her husband is eager to become a father, Jennifer is not at all ready to be a mother. Every month is an emergency for her, and Beth is there to joke and comfort her through to the day of “Oh, good. 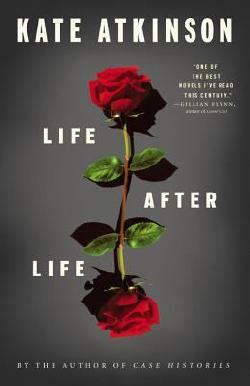 False alarm.” Beth is single, but has been living with her rock-star boyfriend for years. She’s crazy about him, but being the maid of honor in her sister’s wedding is sending her around the bend. Will she ever be the bride? Maybe not, since she has a huge crush on the cute new guy at work. After a while, Lincoln realizes that Cute Guy is him. Although Lincoln is the greatest underdog hero ever written, he is not a loser. Yes, he lives at home with his divorced mom, but why not? She doesn’t charge any rent and the food is great! And he has friends. A bunch of them get together every week to play Dungeons & Dragons. Then there’s Doris, at work. She’s the 60+ lady he shares his mom’s cooking with in the break room every night while she teaches him pinochle. His sister, Eve, is always there to give advice, most of which comes down to: “Get away from Mom.” When his D&D buddy, Justin, becomes a big fan of Beth’s boyfriend’s band, Lincoln’s life gets complicated. As time goes by, Lincoln finds that he cares very much about Beth, even though they’ve never met. When he sees her for the first time one night in the break room with Doris, he falls head over heels. Then he realizes that it will never work. How could she care for him if she knew that he’d been reading her personal emails for months? Their entire relationship would be built on deceit. He vows to stop reading, but that would be akin to breaking away from his closest friends. This is the second (of two) Rainbow Rowell book that I’ve read, and I can now be declared a raving fan. Eleanor and Park, a teen novel, was gritty and sad and altogether beautiful. Attachments is one of the sweetest and happiest love stories ever. Rowell also has a sense of humor that keeps it far from saccharine. You will love Lincoln. He’s like a big puppy; you just want to fix everything for him. He deserves so much happiness, and he is kind to all of the ordinary, flawed people in his life. The reader will not only care about the very warm and human main characters in this novel , but he will also recognize all of the well-portrayed secondary characters as people just like his own friends and family. You want to read this book. You really do. Now I have an advance copy of Rowell’s next book, Fangirl, which is a YA novel due out in September. I begged for it from my wonderful Children and Teen Services folks at Baker & Taylor, and they sent it to me, along with a tote bag and a yo-yo. They are so hilarious, and they always come through for me. Review to come. Disclaimer: I read a library copy of Attachments. My opinions are solely my own and do not reflect the opinions of my employer or anyone else. Human beings have been drawn to fire for time immemorial. Sure, fires are handy for cooking, whether you’re roasting mastodon or marshmallows, but it’s more than just the practical. There’s something almost spiritual about gazing into the flames, contemplating life or just marveling at the beauty of this powerful force, contained and controlled just for us. 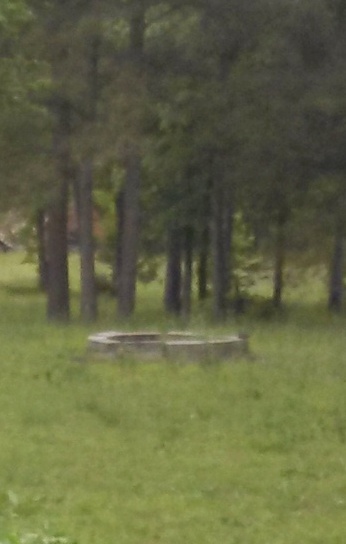 David and I were somewhat perturbed the afternoon that we saw our next-door neighbor, along with his teenage children, hauling an old chest freezer down to the bottom of their property. It reminded us of the joking form we saw when we moved to Kentucky: “Application for residence in Kentucky. How many appliances, working or not working, do you have on your front porch?” It was funny then, but when your pastoral view is marred by one pile of metal, you have to wonder if there will be more. Not to worry! Just days later, they dragged a huge, thick cardboard box down to the freezer, ripped it up, and left it outside. Now I’m just guessing, but I’d say someone has a new freezer. That night, we saw flames, and the next day, we woke to a burned, brown metal box. Since then, we’ve seen this ritual take place several times. 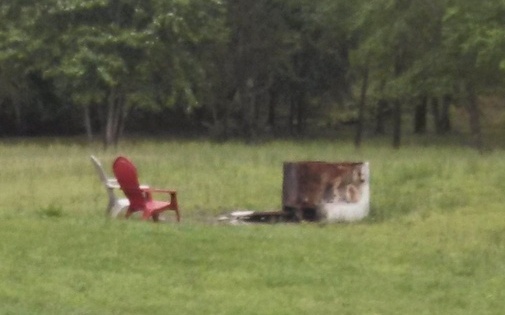 So, their yard is not destined to become an appliance graveyard, but rather a burn site. A friend of mine asked if we didn’t have trash pick-up. Oh, yes, we do. We’re too far out in the county to have city trash service, but everyone on our street pays for one of the many private trash companies to come through weekly. On top of that, the dump is not too many miles away, and they would take both the trash and the freezer, although they do charge by the pound. Imagine our astonishment when we woke up one morning to see lawn chairs gathered around the freezer! We are struggling to understand that this rusting metal box is evidently considered an object of beauty and an entertainment focal point. I will admit that I am slow to appreciate the finer points of modern art, particularly the pieces that resemble a pile of dirty laundry, but apparently I am blind to the masterpiece next door. David has always loved fire, and we daydream about having an outdoor kitchen and a patio with one of those cool fire bowls in the middle. Our neighbor on the other side has a fire pit, and it does make a terrific gathering place for neighbors to come together. If you look closely at this picture, you will see that the freezer folks also have a fire pit, a bequest from the last guy who lived there. I suppose it is just so ordinary, so bourgeois, that something more dramatic was in order. One of these days, a major art magazine is going to interview me, asking what it’s like to live next door to a genius. I’ll be baffled. David and I will stick to our Weber gas grill and hope that the flaming appliance will soon be carted off to a museum—or the dump.